A few weeks ago, Justin, one of the Sunny Days Prestige Travel team, had the pleasure of working with an international travel magazine, Tour de Monde. He spent the day showing the photographer, Lim Sung Soon, and journalist, Kim Soo-Hyun, some of the most spectacular parts of this wonderful area. 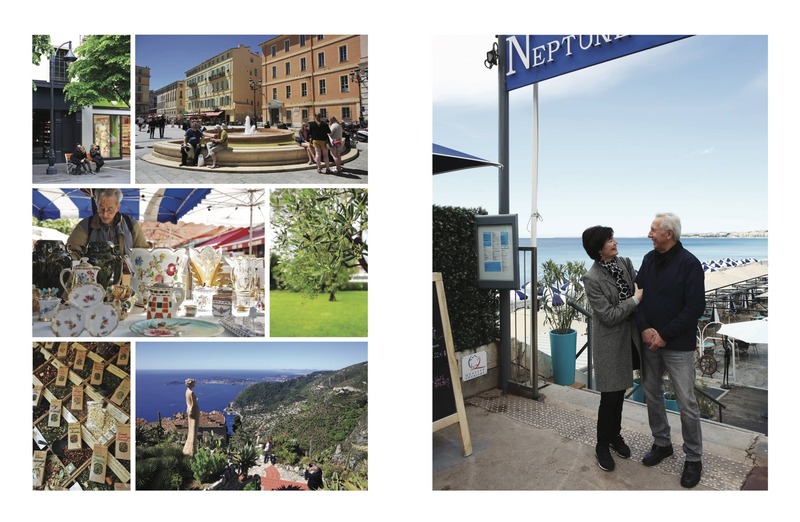 Kim and Lim had been in Nice and Monaco the previous days, but had been unlucky with the weather - but they had the good fortune of working with Sunny Days Prestige Travel for their last day in the region. 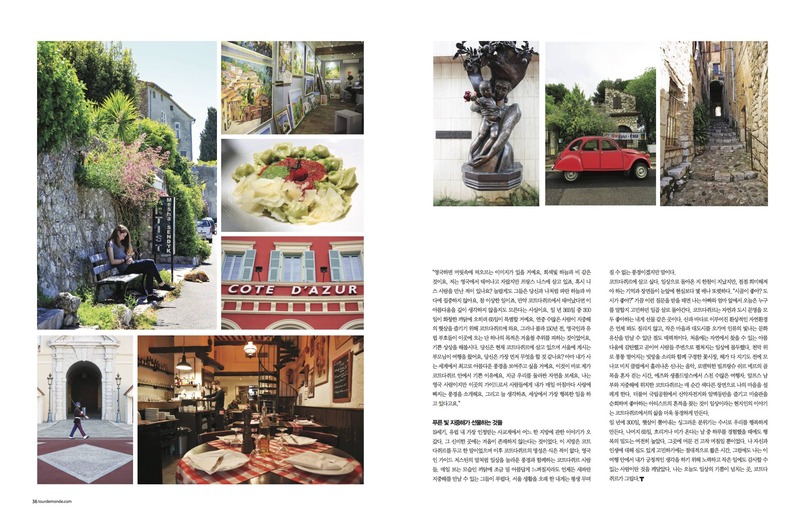 True to our name, Sunny Days delivered: the sun came out on cue, and thus Kim and Lim were able to take the photos and write the articles that would show of the French Riviera to their mainly Korean audience. The magazine is currently being printed, but Sunny Days Prestige Travel have been given an exclusive preview of the articles. Here, then, is the first of their articles. I think you'll agree, there is some wonderful photography in this article. 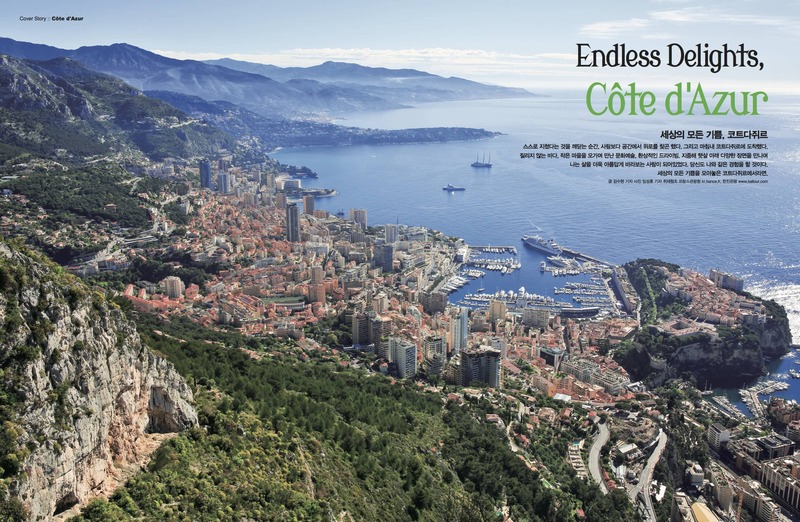 Look out for further articles from Tour de Monde magazine in the next couple of days! Sunny Days Prestige Travel - and especially Justin - would like to thank Kim, Lim and Tour de Monde magazine for allowing us to publish these articles. You can download the article in .pdf here. Find out more about Tour de Monde magazine here.